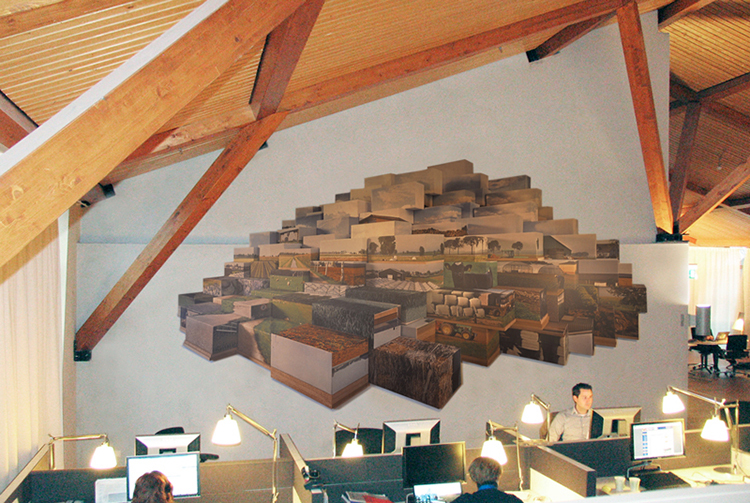 This work was made as a commission for the new office building of ZLTO in Den Bosch. The work is located in the office space in the attic of this modern barn, bringing the outside landscapes into the everyday dwellings of people working here. 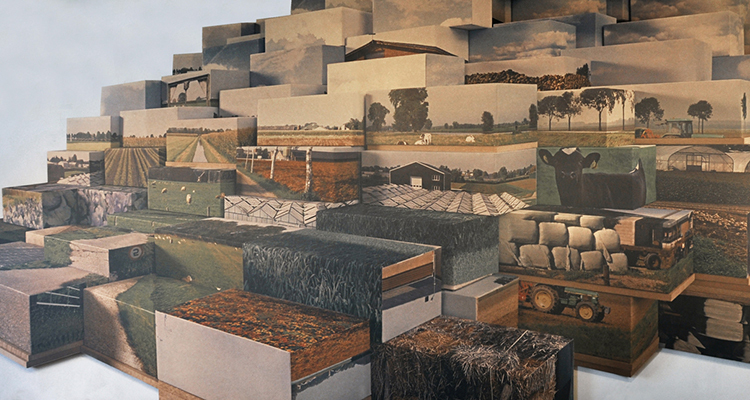 The wall-print is of a scale-model that consists of fifty-nine elements that are essentially images taken of the Brabant area showing scenes from a typical Dutch landscape. 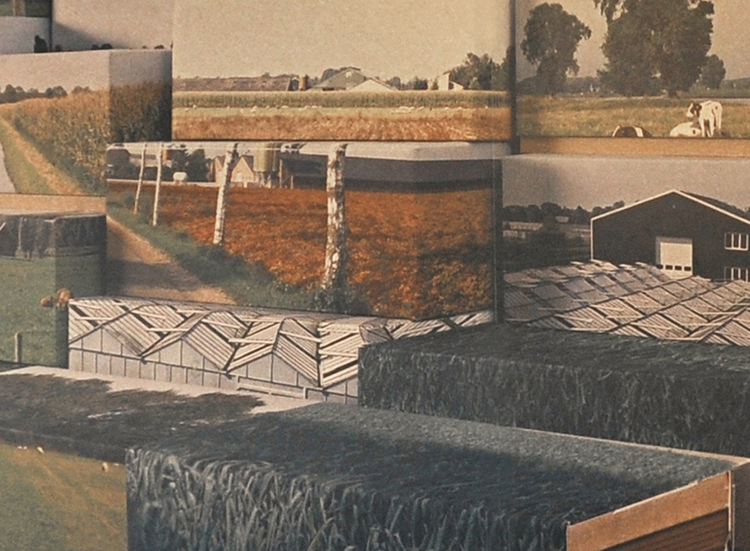 These photographs have been ‘wrapped’ as hay-bales, physically stacked, documented and enlarged as one composition. 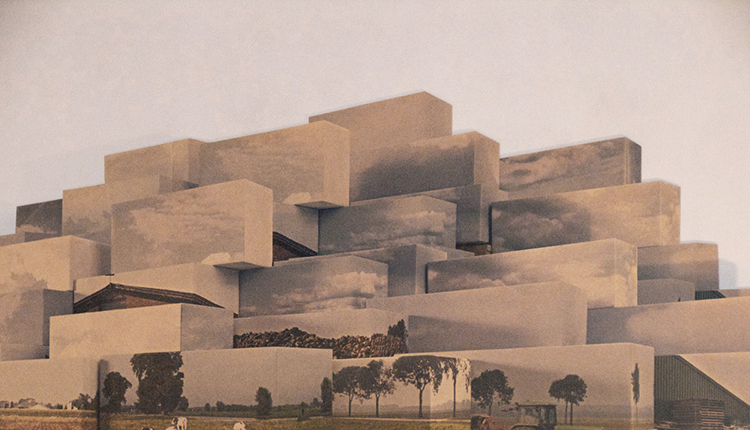 The title itself underlines the importance of gathering as a basis for progress, and in doing so it reflects on the accumulation of images as a cloud on the wall. The aesthetics of low intensity colors make the work a homage to one of the most renowned artists from this area: Hieronymus Bosch and the outer panels of his triptych The Garden of Earthly Delights (1503-1504). Commissioned by: Art-Partner and De Architekten Cie.